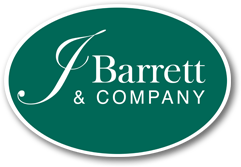 The Property Twins, Stephanie Curran and Tracy Orloff are thrilled to announce their move to J Barrett & Company in Marblehead, MA. Life-long residents of Marblehead, the identical twin sisters originally moved to this coastal town when they were 10 years old. They returned 15 years ago with their husbands, Scott and Marc, and two children each. Stephanie has been in real estate for 10 years. Prior to real estate, she was a Clinical Social worker. After a successful career corporate sales, Tracy joined her sister in real estate in 2013 and they've been the Property Twins ever since. Stephanie and Tracy are both very active in the Marblehead community. They serve on many boards including: Village School PTO, The Friends of Marblehead Public Schools, and The Merry Mixers-Friends of the North Shore Children’s Hospital.